“Mommy, Daddy, carry me! !” is a refrain most parents of young children are all too familiar with. 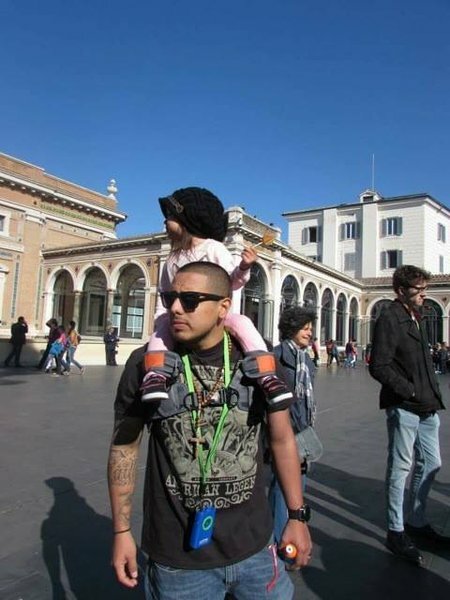 Whether on walks, at events, or just around the house, kids love to be lifted up and carried, and one of their favorite methods is undoubtedly the shoulder ride. For a young child, riding on mom or dad’s shoulders is like sitting on top of the world. From that sought-after seat, a kid can pretend to be royalty surveying their kingdom, while at the same time feel safe and secure knowing they’re being held by the people they love the most. 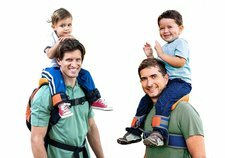 Saddle Baby is a hands-free shoulder carrier comprised of a chest belt, a soft foam seat and a set of ankle cuffs. These three simple elements attach to create a safe, easy, and fun mode of transport for children ages 2 to 5. The Saddle Baby is available in 3 types. The first is the original Saddle Baby, which is worn directly on-body. 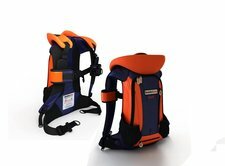 The second is the Saddle Baby Pack, a convenient, multi-compartment backpack that incorporates the seat and straps into its design. The third is the Saddle Baby Uni, a unit that can be attached to the customer’s existing backpack. Customers can also buy replacement saddles, if necessary. Made from durable materials, Saddle Baby is perfect for the active lifestyle that many of today’s families enjoy. 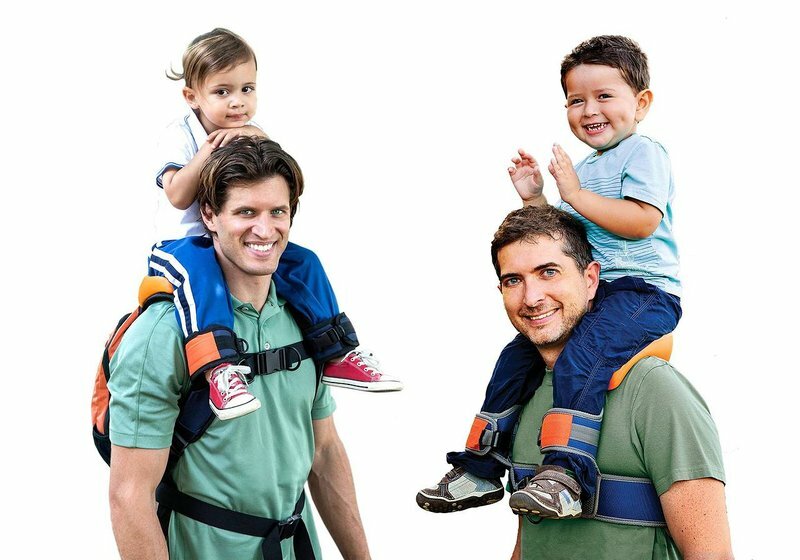 Perfect for hikes, nature trails or trips to the local market, this product gives parents peace of mind that their kids are always nearby.